The capacity war between Qantas and Virgin Australia may have cooled, but things are heating up in the two airlines’ attempts to lure business travellers on the east-west trek. Just a week after Virgin launched its new “The Business” business class seat on board its Airbus A330-200s that fly between Perth and Australia’s east coast capitals, Qantas has opened a dedicated Business Lounge in its newly refurbished Perth Terminal 4. The new Business Lounge offers Qantas travellers an experience in Perth that meets, and in some respects, exceeds, that of other capital cities such as Sydney, Melbourne, Canberra and Brisbane. And with enough seats for 350 people, the lounge should address overcrowding issues experienced by some travellers in Perth’s existing Qantas Club facility. Qantas says the Business Lounge adds about 50 per cent more lounge space to Perth Terminal 4. Created by Woods Bagot, the design is inspired by unique Western Australian landscapes, with a colour palette drawn from Margaret River, Matilda Bay, Broome and the iconic Wave Rock. The layout is divided into a series of zones which help create a sense of spaciousness throughout the lounge, and the overall effect is a warm space that feels both luxurious and comfortable. Speaking at the opening of the lounge on Wednesday, Qantas Domestic chief executive Andrew David said the new Perth Domestic Business Lounge would offer the airline’s premium flyers outstanding service, luxury design and premium food and wine. “The lounge has been designed with our most frequent travellers from WA in mind. It accommodates the mix of corporate, leisure and fly-in/fly-out workers with business facilities, a sports lounge to relax and socialise, and dining areas with single and communal seating,” David said. 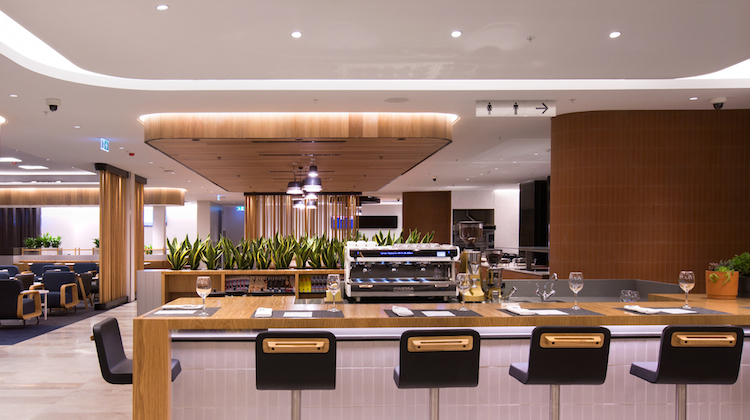 The new lounge introduces a number of new innovations to the Qantas Business Lounge offering, including an Italian pizza bar with dedicated pizza chef, a “make your own juice” bar, a wine bar that serves barista coffee all day, as well as wine and canapés in the evening; with menu items created by Neil Perry. One of the guests at the launch event was Perth-born businesswoman, fashion designer, model and actress Megan Gale. 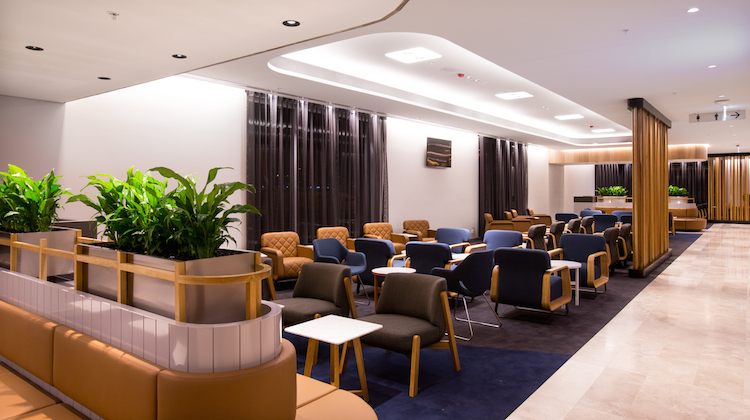 Qantas’ Perth Business Lounge opens to the public on Thursday and is accessible for those passengers holding a Qantas business class ticket, platinum one and platinum Qantas frequent flyers, those holding Oneworld emerald status and Emirates Skywards platinum members. Looks absolutely fantastic!! Can’t wait until the Brisbane lounges are refurbished!! Too bad qantas has started dropping a330 services from perth, i will be flying virgin from now on! It’s a real treat. Excellent lounge. See ya Scott. I’ll take your seat don’t worry! @Scott – while I prefer the A33o’s of both QF and VA over their respective 73’s – I think you’ll find yourself on VA’s 737’s just as often as QF’s. A search today for next week, for example, shows VA running 73’s on PER-SYD and PER-MEL morning flights. It’s the luck of the drawer based on demand and yield. Both airlines are excellent though so I am sure you’ll enjoy VA..